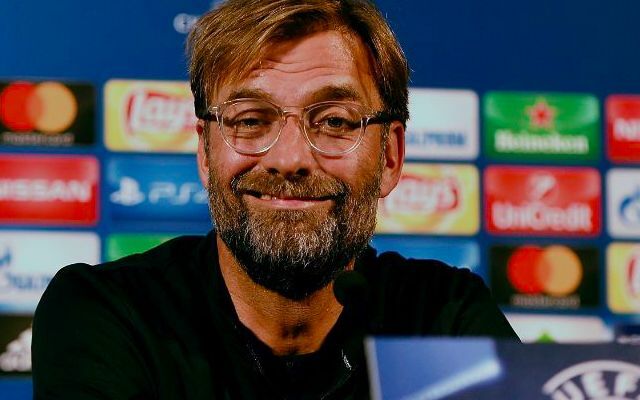 Jurgen Klopp has momentarily restored the spirits of Liverpool fans with a sublime reminder of his exuberance after Saturday’s Champions League final defeat. The Reds manager was filmed blasting out a chant in the early hours of Sunday morning in response to a desperately unlucky string of events in Kiev’s showdown with Real Madrid. A reference to Madrid’s ‘luck’ is seemingly in light of Mohamed Salah’s premature exit from the game through injury and Loris Karius’ two costly mistakes in the second half. Having been visibly dejected immediately after the game, Klopp was in no mood to remain in bad spirits after what must still be deemed a memorable season for the club. The German was filmed alongside assistant Peter Krawietz prior to Liverpool’s flight home. Klopp and his men have good reason to return to Merseyside with their heads held firmly high after a brave display against the reigning European champions. Barring a couple of errors, the Reds were a stern match for Zinedine Zidane’s side and not only troubled Madrid’s defence but also managed to frustrate Cristiano Ronaldo and co.
Saturday’s setback threatens to be a springboard for the most exciting period under Klopp’s management yet.